Reading and share top 1 Tanner Patrick famous quotes and sayings. 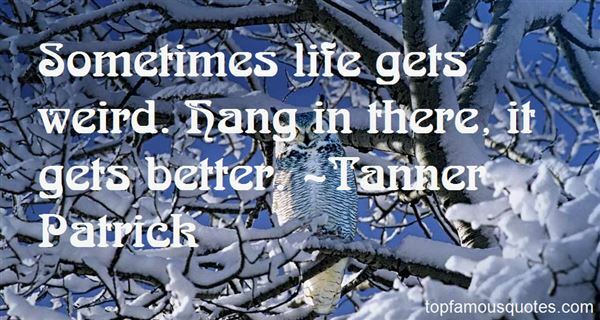 Browse top 1 most favorite famous quotes and sayings by Tanner Patrick. What the future held for her she didn't know. Of two things only she was certain. There would be children-her own or other people's-and there would be books."